This year again, Eclipse applied as a mentoring organization for Google Summer of Code. We already have been started to collect ideas, they could be contributed on the wiki. Do not miss GSoC ! It's a great opportunity to see enhancements or new features added to your favorite projects. If you are a student, you should consider GSoC as an awesome chance to integrate free and open-source communities by doing (not only using), trust a former student. If you don't know how to get involved, have a look to our contribute page and keep an eye on the timeline. Acceleo has the ability to profile a generation. It creates a model containing the profiling data, and his able to display it. However it would be nice if we could export this model to a gprof file and reuse existing analysis tools such as the view from the linux tools project. 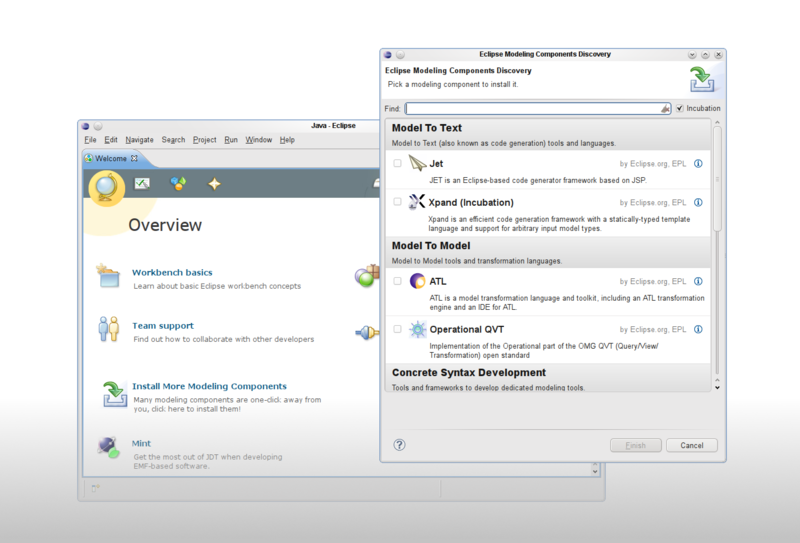 Thanks to its discovery UI modeling package users could very easily discover and install modeling components. However we miss an updated reference example to see how to use together all this technologies. EMF Serialization is extensible and Protocol Buffers is an efficient serialization technology so it could be interesting to see how to combine them.